Simon Thomas Pirie are excited to announce that we will be taking part in Decorex International in London from September 16 – 19, as part of the launch of Hillgrove Timber. Decorex is one of Europe’s leading interior design events and is the centrepiece of the London Design Festival. It is an unparalleled opportunity for interior design professionals to discover exquisite creations of over 400 international exhibitors. This year the opportunity arose for Simon Thomas Pirie to collaborate with the launch of Hillgrove Timber, a new company founded by English Woodland Timber in Sussex. Already well-known as one of the country’s best and most innovative suppliers of English hardwoods to the bespoke furniture and joinery trades, Hillgrove Timber takes this a step further, supplying unique boards from a reserve of the most beautiful trees. These are carefully processed to expose the character of the wood so clients and designers alike can select in confidence for any project. Our role is as one of the handful of British designer-makers Hillgrove Timber trust to work these special timbers further, helping clients turn their ideas into reality. 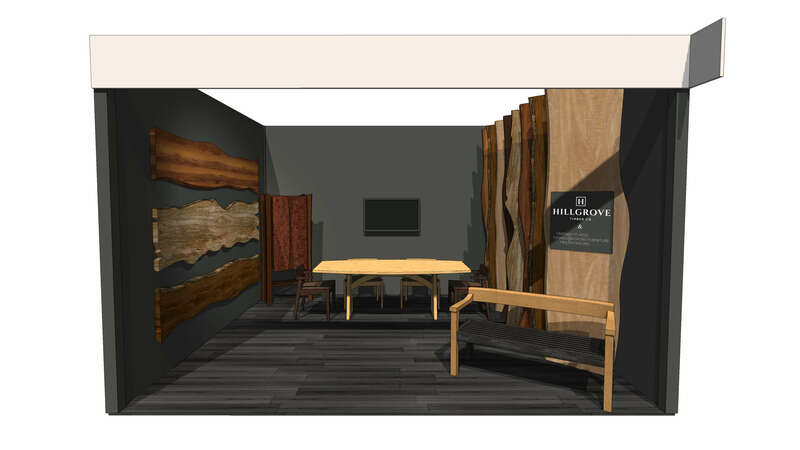 Simon Thomas Pirie will be the only designer showing furniture made with Hillgrove Timber at Decorex and have taken the lead on the stand design for this exciting collaboration, ensuring the exquisite timbers and furniture are shown at their very best. 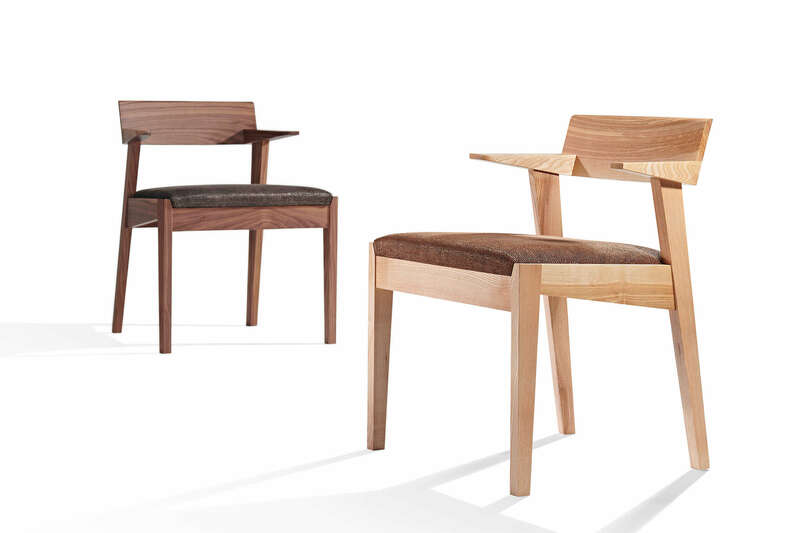 Decorex is also the first opportunity to see the ‘Iceni’ half-arm chair, a new design from the Simon Thomas Pirie studio. This striking but compact chair bridges Scandinavian modernism and the British craft tradition with equal measures of comfort, beauty and functionality built-in. John and Simon will be on the stand throughout the show together with the team from Hillgrove Timber and look forward to welcoming specifiers, architects, interior designers and their clients to the stand.